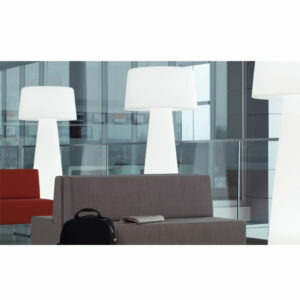 The Tempo Floor Lamp is an indoor/outdoor lamp made of polyethylene with rotational moulding technology. The white opal color gives a pleasant diffused light. 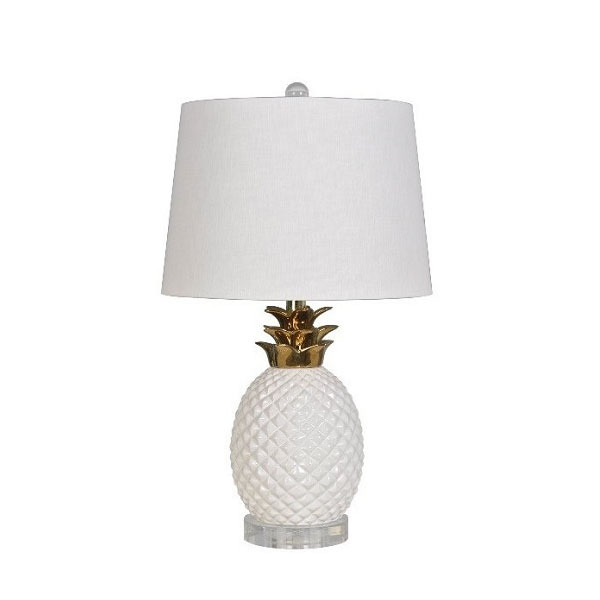 Works perfectly in an outdoor or indoor lounge setting! The Adler Wall Sconce is ceramic with a white glaze finish and a white linen fabric shade with a rolled edge hem. Hardwired & flush mounted; this sconce accommodates one 60W incandescent bulb (not included) that gives off soft ambient light. 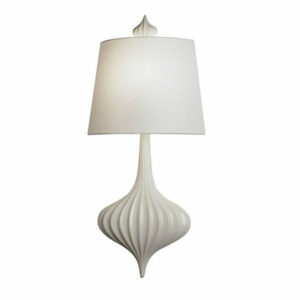 Dimmable! The Ananas Table Lamps Set (of 2) features glossy white ceramic bases with gold plating & white linen shades. These are sure to fit your coastal or tropical motif! Uses up to 100W bulbs (not included) and has a 3-way switch. 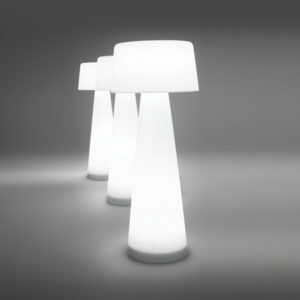 Each lamp is 22″ high. Brillare L is a wireless lamp distinguished by a contemporary design and suitable for outdoor environments. 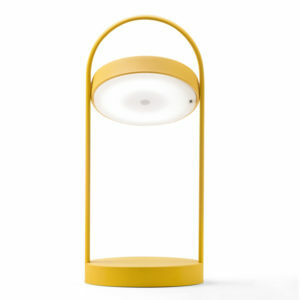 Two discs in plastic material, the base and the LED diffuser which rotates 360 degrees and directs the light, are surrounded by an arc made in extruded aluminum to create a practical handle. 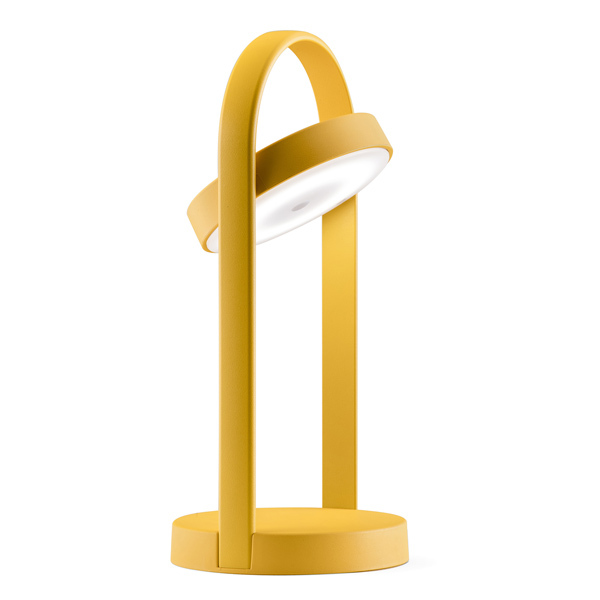 The luminaire incorporates the LED board, the lithium battery, the micro USB cord for recharge and the power button. A cast iron ballast at the base ensures stability. 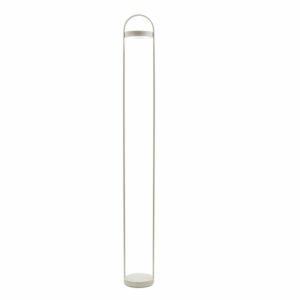 Measures 51″ high and is available in 6 different colors. See website for more sizes! 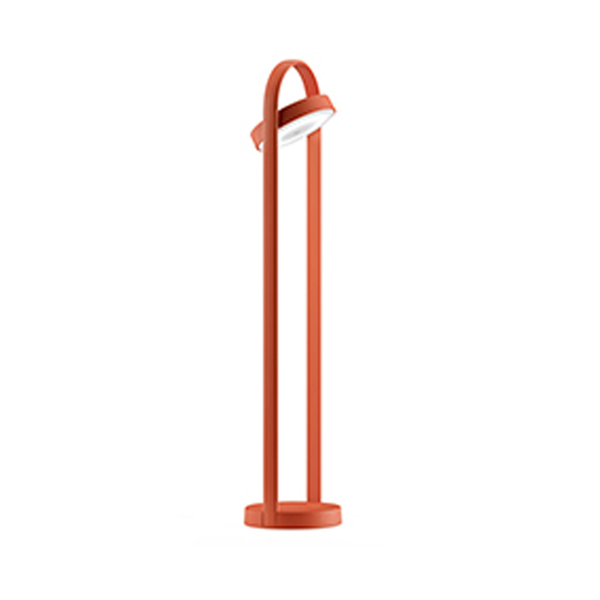 Brillare – M is a wireless rechargeable lamp measuring 20″ tall, distinguished by a contemporary design and suitable for outdoor environments. 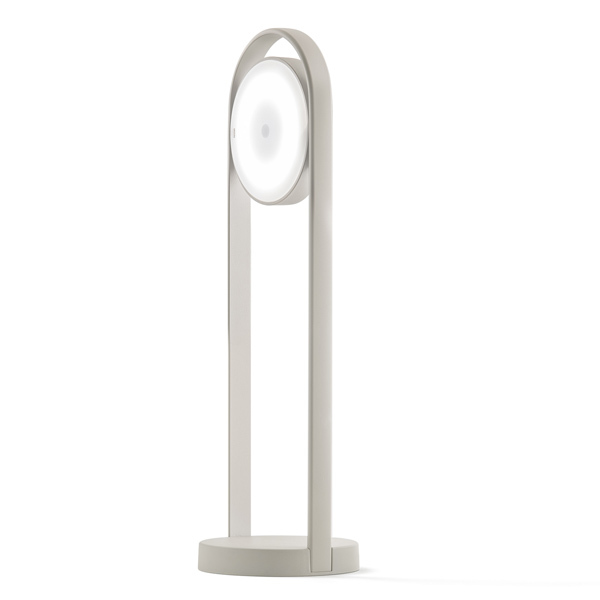 Two discs in plastic material, the base and the LED diffuser which rotates 360 degrees and directs the light are surrounded by an arc made in extruded aluminum to create a practical handle. The lamp includes the LED board, the lithium battery, the micro USB cord for recharge and the power button. 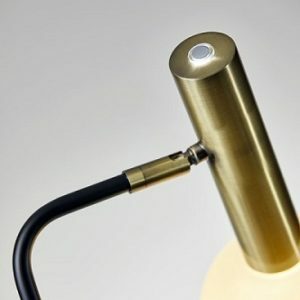 An optional magnet at the base allows the fixing of the lamp on metal surfaces. It’s LED illumination is powered by a lithium battery that lasts up to 8 hours on a full charge. Included in the packaging will be a 1.3 meter long micro USB cable and battery charger. Available in 6 colors of your choice! See website for additional sizes. Brillare – S is a wireless rechargeable lamp measuring 13″ tall. It’s LED illumination is powered by a lithium battery that lasts up to 8 hours on a full charge. Included in the packaging will be a 1.3 meter long micro USB cable and battery charger. 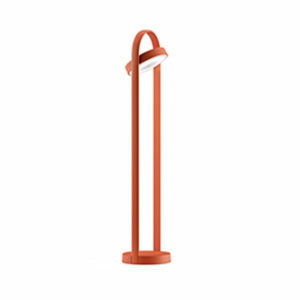 This modern lamp is suitable for indoor and outdoor use and is available in 6 colors of your choice! See website for additional sizes. 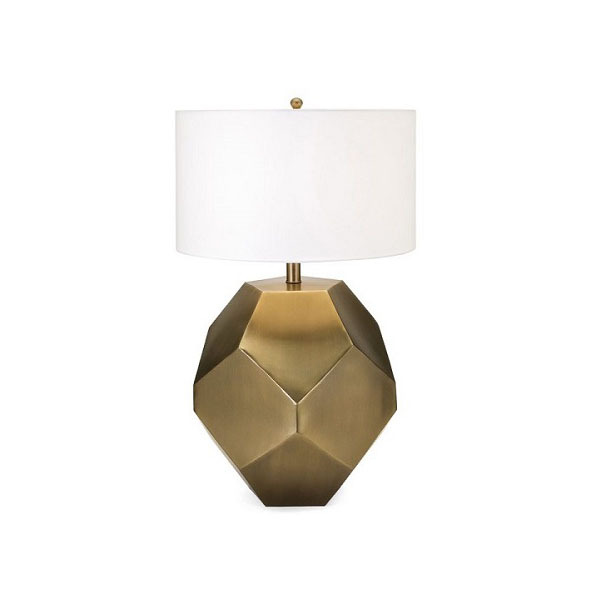 The Calice Table Lamp is nothing short of bold geometric design, timeless appeal & the ability to fit into many decor styles! Base is spun iron finished in a satin gold color with a clean ivory drum shade. Uses a 40W bulb (not included). 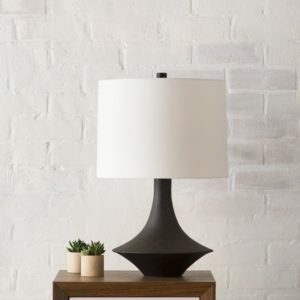 Introduce subtle mod design to your space with the Genio Table Lamp. 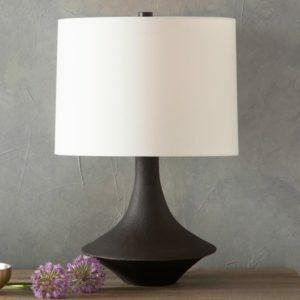 The ivory cotton drum shade makes for soft light, perfect for a writing desk or reading nook, while the distinct base gives the piece a pseudo-retro look. Cord length is 72″. Use up to 100W bulb (not included). Base available in two color options! Drawing inspiration from factory lighting in the early 1900s, this glass bowl pendant light is an ideal piece to transform a plain kitchen or any space for that matter into an eye-catching industrial ensemble! 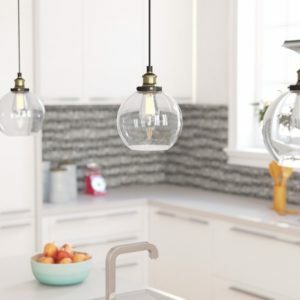 The subtle shimmer of its globe shade brings on-trend appeal while its fabric-wrapped cord (8′) adjusts so you can customize it to suit your space perfectly. Comes with a universal mounting plate and a button at top of fixture to adjust height. Total possible length is 96″. 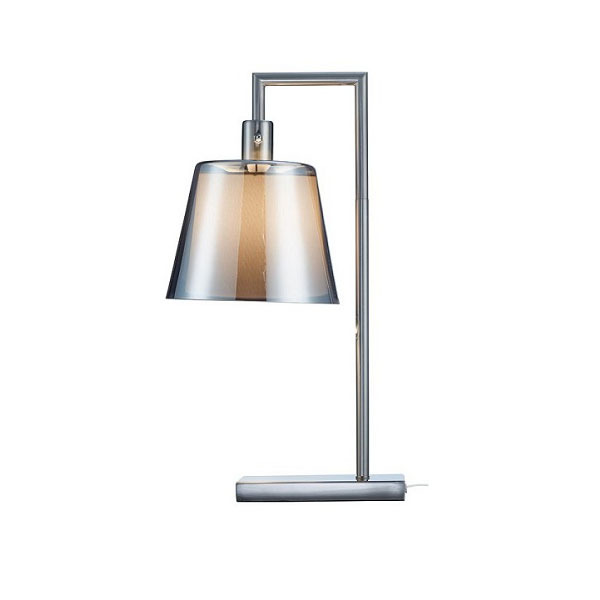 A classic contemporary statement, the Metallo table lamp celebrates clean lines and utility. The brushed steel stick body extends from the matching rectangular base to form a right angle arm. 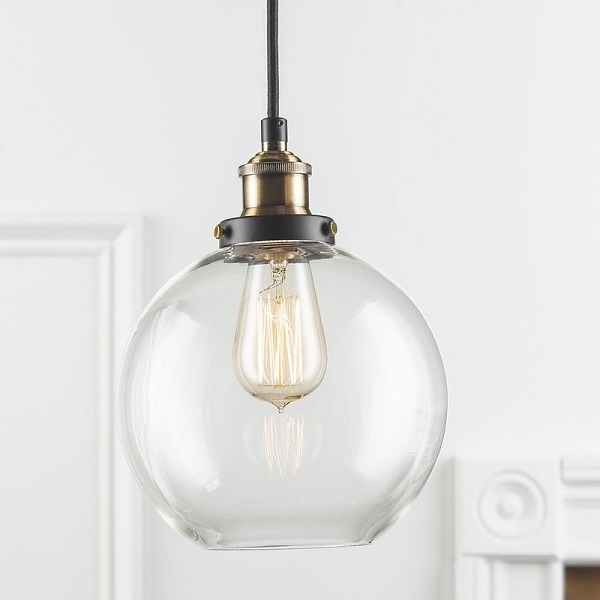 The smoked mercury glass shade features an inner off-white fabric diffuser that is removable if you want to reveal a decorative filament bulb. Uses 100W incandescent or 26W CFL bulb (not included). Features an on/off switch; rotary socket. 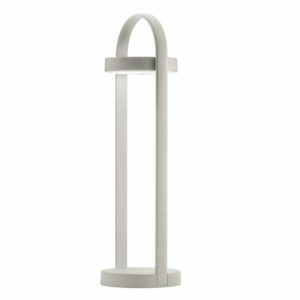 Add a unique contemporary accent to your space with the LED Ramo Floor Lamp. Adjustable elongated antique brass sockets paired with round frosted glass globes create the perfect contrast of both shape and color. 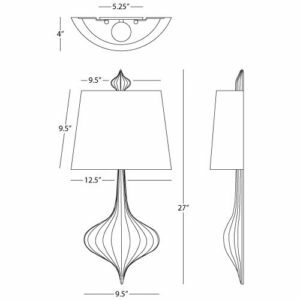 A beautiful glow casts 1,650 lumens of warm lighting for your space, fully dimmable by a simple rotary switch. 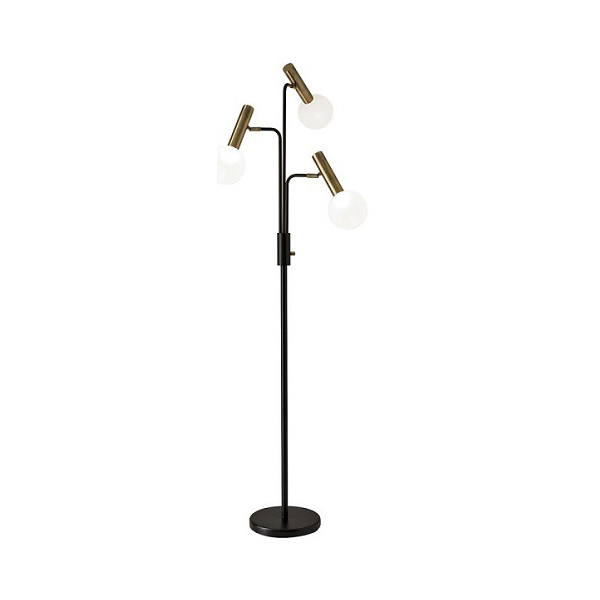 A black fabric covered twisted cord complements the slim black pole and flat black metal base perfectly. This lamp is smart outlet compatible. The LED bulbs are integrated into the lamp and are not replaceable, but last 50,000 hours! 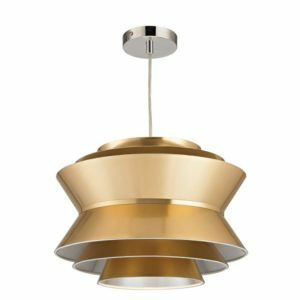 More than a bold gold luminary, this Pendant establishes an eye-catching sense of symmetry with cinched concentric tiers! 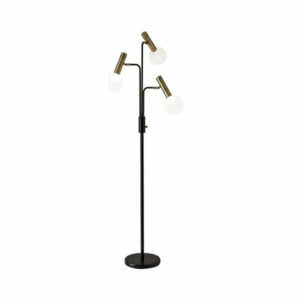 Uses incandescent bulbs, 60W (not included), standard bulb base. Gold colored PVC with silver base.